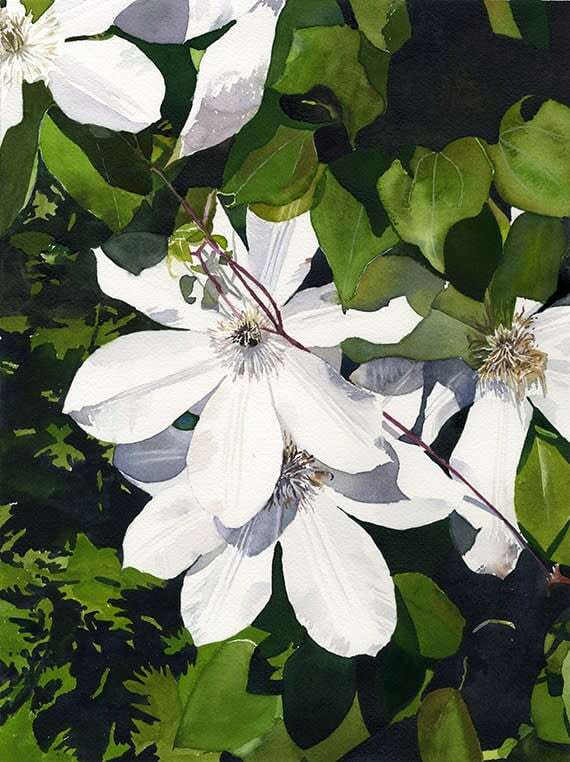 Celebrate your love of gardens with this bold, elegant, clematis original. It will enhance your neutral or green accented decor and speak to your love of life, flowers, and light. Order Lead Time is 2-3 Weeks. Please click "Contact" in the website menu if you have any questions. The frame style pictured is the only available option and was hand selected by Hollis to suit the artwork. 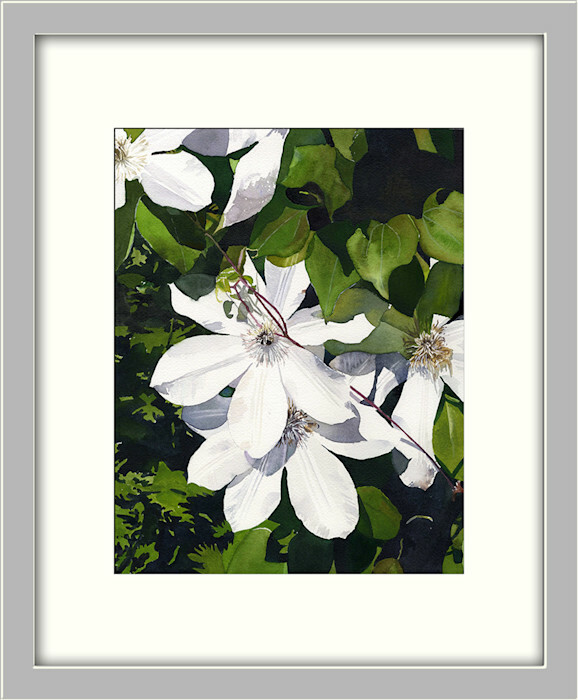 The perfect contemporary frame that can go with most decors and wall colors. This original painting comes with a Documentation of Authenticity and a special gift from the artist.